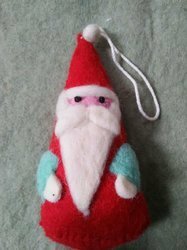 Pioneers in the industry, we offer christmas felt ball ornaments, christmas felt dinning decore, christmas tree decoration ornament hand made felt red tree skirt, christmas tree ornament hand made felt red stocking and santa gift pouch, color shade wool felt and felt christmas decoration from India. 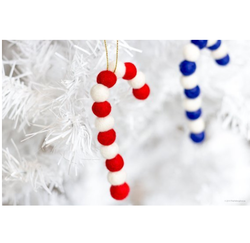 Felt balls garland and candy can be decorated as tree ornament or as garland individually for decoration of main door, doors, etc. 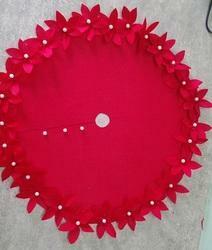 Chritmas Tree Skirt Decorated With Felt Flower And White Beads. Decoration Of Christmas Tree With Skirts Makes Tree More Elegant Nad Beautiful. Red , White , Pink, And Any Customised Colour Can Be Done. 19" Dia Is The Skirt . 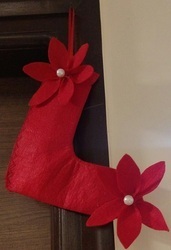 Christmas decoration made of felt. Can be hanged at door, as hanging pcs, christmas tree , etc. 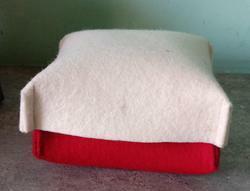 We are the leading manufacturer of all types of felts items. We will supply in bulk quantity only. 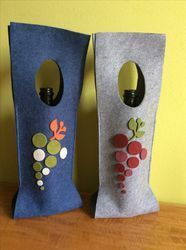 Wool felt wine bottle cover . good to gift during christmas also. depending upon the no. Of. Nos rate are quoted. size, colour can be customised. 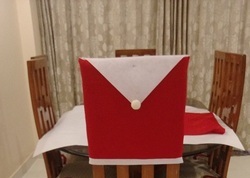 We are the leading manufacturer of all types of felt crafts. Please contact us for more details.